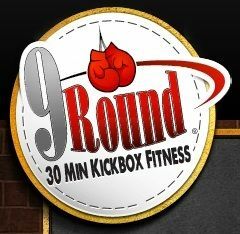 Murrieta, CA Kickboxing and Fitness Gym - 9Round is a specialized fitness center dedicated to serving clients who want a unique, fun, and proven workout that guarantees results. 9Round is a specialized fitness center dedicated to serving clients who want a unique, fun, and proven workout that guarantees results. 9Round is a specialized fitness center that brings Boxing and Kickboxing Fitness training to the average person in a convenient, affordable, 30 minute, full body circuit format! The workouts involve aerobic (cardio), anaerobic, and resistance training- getting you results-FAST!! Our program is developed around a proprietary- copyrighted system of 9 challenging workout stations developed by a professional fighter. Whether you are a beginner or advanced fitness level, our Certified 9Round Trainers will help you kick and punch your way to a healthier YOU!! Boca Raton Fitness Center, the Boca BrickHouse is Boca Raton's premiere fitness center, gym, health club for cardiovascular training, strength training, combat training and more. Arena Fitness is a Northridge gym specializing in circuit-based personal training, semi-private training and group training bootcamp classes.